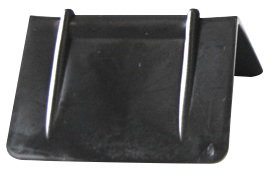 PAC Strapping Products, Inc., manufactures the broadest line of plastic edge protectors in the industry. For use with both steel and plastic strapping, PAC corners cushion your product and allow the strap to be tightened to its maximum tension without damaging the package. Each plastic corner is constructed from a specially formulated resin and is ribbed to hold the strapping firmly in place. Steel corners meet all Federal and GSA specifications.